Solar pool heating systems are relatively simple in terms of how they work, and will operate trouble-free for many years in most circumstances with minimal maintenance. There are some things you can do to maximize your solar pool heating system’s performance, however. 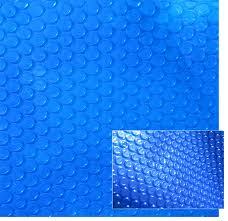 Use a pool cover, also known as a pool blanket or solar cover. 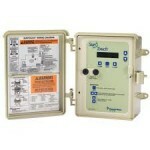 Install an automated electronic solar controller. 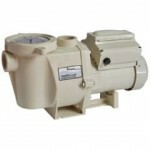 Install a variable speed pump. Pool covers are the single most effective way to improve the performance of your solar pool heating system. If you heat your pool with electricity or gas, you lose heat (money) overnight or when the pool is not in use. With solar pool heating, uncovered pools will have a lower starting temperature each day, resulting in lower maximum temperatures possible with solar heating throughout the day. If you pool starts off already-warm from the day before, the solar pool heat can work more effectively. It’s easy to lose 5 degrees of temperature overnight on an uncovered pool, and this effect is pronounced when night temperatures are low and as wind increases. One misconception is that the pool cover heats the pool substantially. 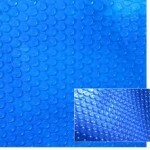 While solar blankets can provide some heat gain to a pool, the most important effect is to reduce evaporation. Evaporation releases heat from your pool. Refilling lost water is wasteful and puts more cold water in the pool! 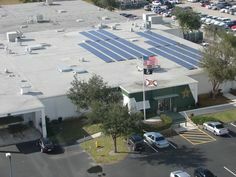 Automated controllers like the Pentair SunTouch maximize solar pool heating performance. Automated electronic controllers are used to “switch” your solar pool heater on and off based on some set criteria. You can set a maximum temperature for your pool or spa, and the controller will turn the solar off when the setpoint is reached. More importantly, the controller will turn off your solar pool heater when the solar panels are unable to make your pool warmer. 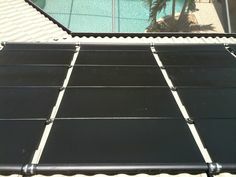 In fact, solar panels can cool your pool under a variety of conditions likely cloudiness, rain, shade, dusk, and dawn. Manually operated solar pool heaters rely on the owner to turn valves into the proper position manually, and it’s obviously impossible to constantly monitor and adjust the valves to maximize the solar panel performance. Manual systems rely on the existing circulation pump to operate only when the system is most likely to have solar energy available, but a simple timer can’t detect the weather! That’s where the controller comes in. The roof and pool temperature are constantly monitored and compared, and a motorized valve switches the solar pool heater on and off as necessary, turning the system on when solar energy is available and needed, and off when there is no solar energy available to heat the pool. Sometimes pools have existing automation products. Various pool control systems from Jandy, Pentair, Hayward, and others are compatible with solar pool heating systems, and can easily be set up to control valves automatically. If your pool does not have an automation system, we can add one that does whole-system control, or just controls the solar aspect of your pool operation. Most controllers also have the capability of controlling variable speed pumps (see more on variable speed pumps below). 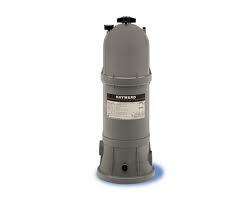 Keeping your pool cartridge filter clean will improve solar pool heating performance. Actually, clean or replace your filter on a regular schedule. Clogged filters result in lower flow rates due to increased pressure on the outlet of the pump. Dirty filter cartridges can prevent solar panels from filling evenly and fully, and result in lower flow rates, which means less overall heat transfer to the pool. They also contribute to a common phenomenon called “bubbles in the pool.” We get this call very frequently, and it’s easily confirmed as a dirty filter by running the pool pump with the cartridge removed and comparing the system pressure or flow rate. Sometimes a filter that appears to be clean is actually heavily impacted with small debris. Your filter cartridge should be quite light, even when wet. If you filter feels heavy, you’ve probably got a clogged filter, and it may not be possible to clean it sufficiently. It’s time to replace your cartridge. The lifespan of a cartridge depends on many factors like size and how dirty your pool gets. A filter can also become clogged from pressure washing pool decks or chemical treatments that precipitate solids that end up getting picked up by a vacuum. 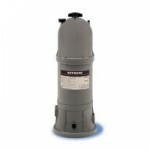 Variable speed pumps like the Pentair Intelliflo help optimize solar pool heating performance. The hot new technology in the industry is the “variable speed pump.” These pumps use variable frequency drives and brushless motors to significantly reduce pool circulation and filtration costs. A positive side effect of the variable nature of the pump speed is that we can control how much water goes through the solar pool heating system, optimizing performance. Manufacturer recommendations vary, but typical solar pool heating panels require about 4 gallons per minute per collector to reach optimum performance. Any additional flow results in marginal pool heating performance gains at substantial and unjustified costs to pump extra water. By installing a variable speed pump with a flow meter, we can “dial in” an optimum pump speed that balances the need for solar heating performance with pumping costs. As a side note, many people assume that a low flow rate is better, allowing the water to spend more time in the solar panels getting warm. However, solar panels perform better (transfer more heat to the water) when operating at a lower temperature. Letting water stagnate in a solar panel just heats up the panel, reducing efficiency. The water coming out of you pool jets should be just a little bit warmer than the rest of the water in the pool. Relatively high volume with low, steady temperature rise is ideal. 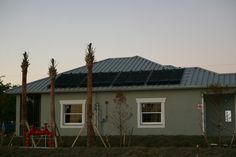 Previous Post: Give the Gift of Solar Panels for Christmas!